Special chartered HARRACHOV 2007 buses will be organized for participants travelling from Prague on Sunday afternoon (August 19). 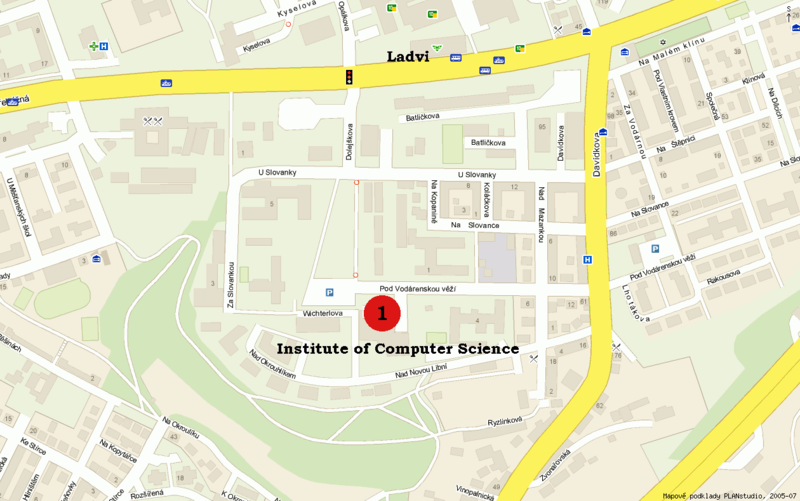 The first bus will wait for you in Prague on Sunday, August 19, at the parking lot next to the Institute of Computer Science (Pod vodarenskou vezi 2, Praha 8). The departure time of the bus is 14:30 (2.30 p.m.). Beginning from 10:00 you can meet at least one of the organizers at the main entrance hall of the Institute of Computer Science, and you may leave your luggage with them in the case of early arrival. The first bus will go directly from Prague to Harrachov without any stop. It is mainly targeted for participants staying for the weekend in Prague, for Czech participants, and for participants who will arrive to Prague in the morning. Participants can use the public transport, take the metro line "C" and get off at terminus Ladvi. For details see the section How to get to the Institute of Computer Science. The second bus will pick up the participants who will arrive on Sunday, August 19, in the afternoon. 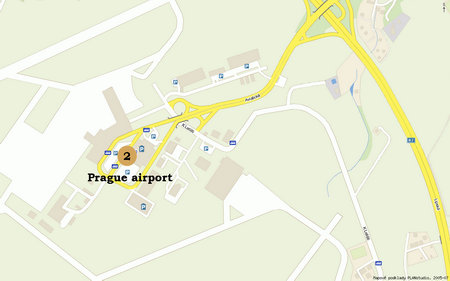 The departure time of the second bus from the Prague airport is 17:00 (5 p.m.). 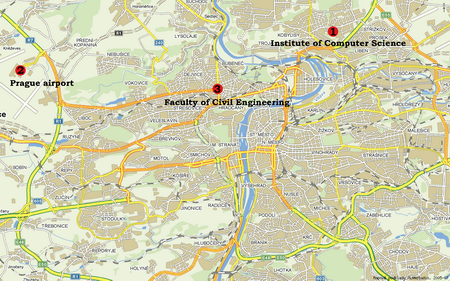 The participants with arrival time to the Prague airport before 12:30 will have fairly enough time to move from the airport to the downtown and to the Institute of Computer Science. Beginning from 10:00 (10 a.m.) you can meet at least one of the organizers at the main arrival hall of the airport, who will be in touch with the organizers in the Institute of Computer Science. They will advice you whether it is still worth to catch the first (direct) bus from the Institute of Computer Science to Harrachov. 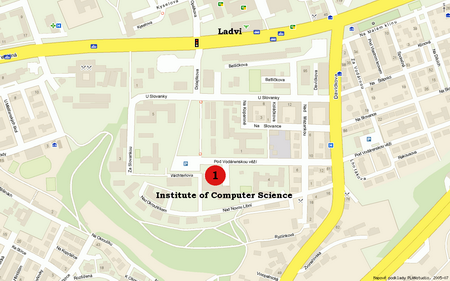 The second bus will stop also in front of the Institute of Computer Science around 17:30 (5:30 p.m) and will eventually pick up participants who did not catch the first bus. 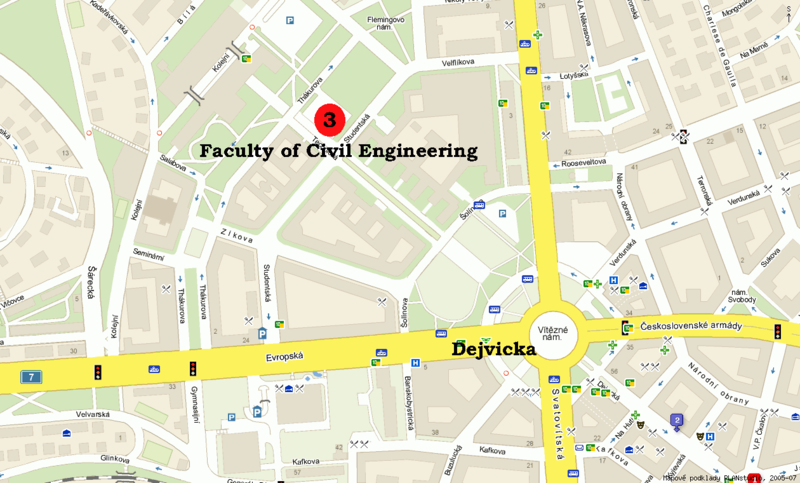 The third bus will wait for late arrivals in Prague on Sunday, August 19, at the parking lot in front of the Faculty of Civil Engineering, Czech Technical University, Thakurova 7. The departure time of the bus is 20:00 (8 p.m.). Beginning from 18:30 you can meet at least one of the organizers at the main entrance hall of the faculty. 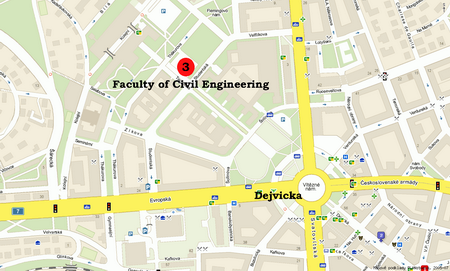 For details see the section How to get to the Faculty of Civil Engineering. We have attempted to collect as much information from participants as we could. We also have some information on arrivals to the airport of several participants who will arrive just on Sunday. 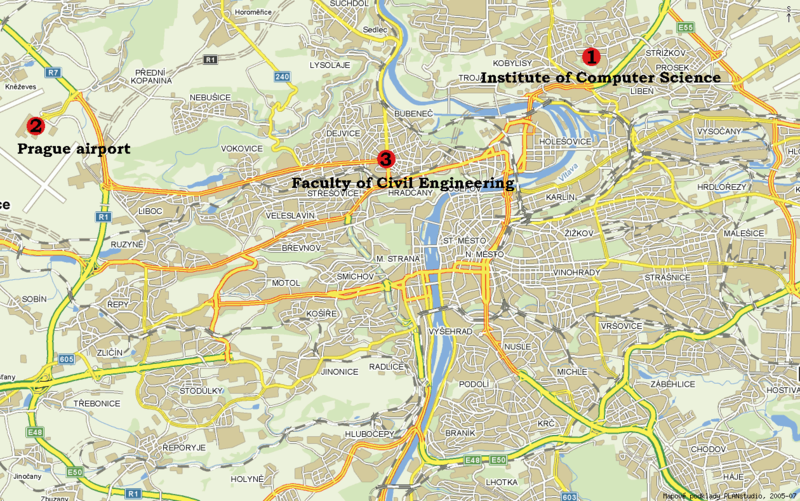 By default, we assume that those participants who did not send us any information will meet the departure deadline at the Institute of Computer Science or at the Prague airport. In any case the members of the local organizing committee can be reached on cellular phones, please consult the section How to contact the local organizers. From the airport, you should take bus #119 to the subway station Dejvicka (green line, marked by "A"). You should get off the metro train at the station Muzeum (5th stop) and change the line to the red one, marked by "C", then proceed to the terminus Ladvi. The total transportation time from the airport should be in the worst case 90 minutes (the real guess is around 50 minutes). From the airport, you should take bus #119 to the bus station Dejvicka. The total transportation time from the airport should be in the worst case 30 minutes. For more information about traveling in Prague, please see the section Prague public transport. Members of the local organizing committee can be reached on their cellular phones. Miro Rozloznik (+420728727743), Mirek Tuma (+420724519187) and Petr Tichy (+420608152907) will be available and aswer your eventual questions. If you call from the public phone network in the Czech Republic, then you do not need to use a prefix +420.